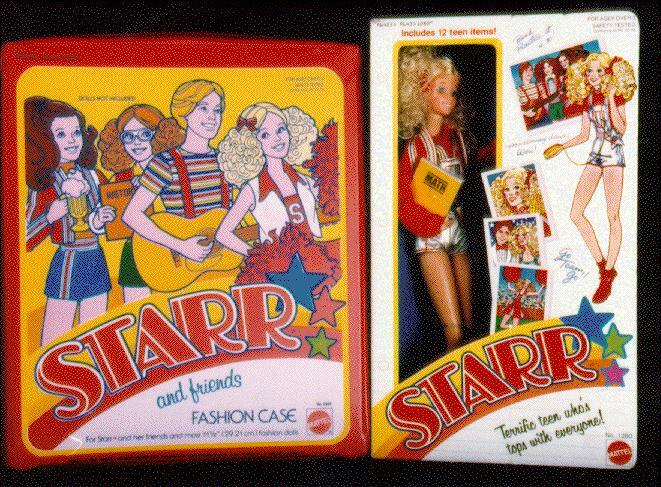 Starr fashion doll, by Mattel, 1980. Starr was a high school girl, there were two other girl dolls, and a "boyfriend" doll. These dolls' arms were ultra posable, with extra joints at wrist, elbow and shoulder for more complete movement and posing ability. I believe they were only made for a short time.